Convert your setup to game on your PC like a console, only better! note: this is a quick guide on setting up your PC for couch gaming mostly based off of what I did with my setup! I do include a few alternative options as well. Why a console-like couch gaming setup? I wanted to achieve a ‘console-style’ couch gaming experience because I wanted a little versatility when it came to how I spend my time gaming. 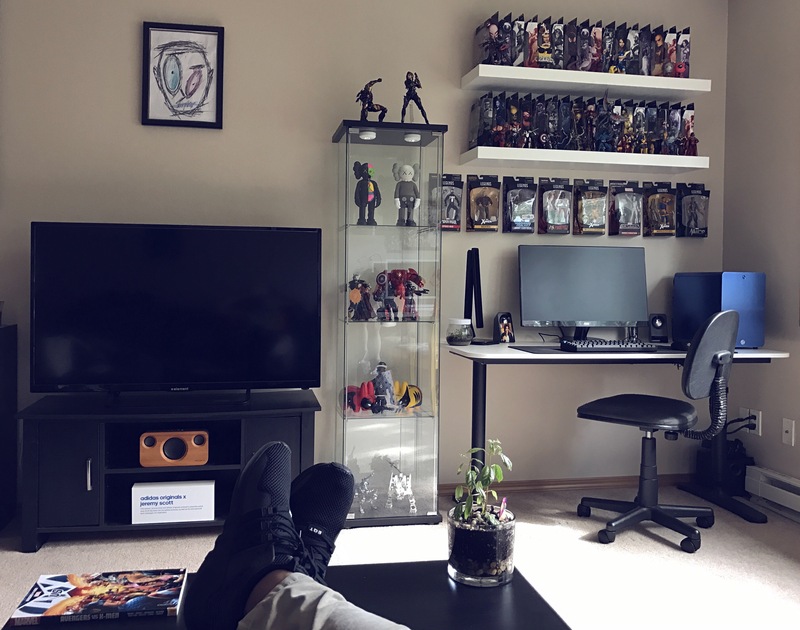 Sometimes I want to just hang out with the girlfriend on the couch, or do a little multiplayer/split screen gaming when guests come over, so I don’t always want to play at my desk. It also just feels plain badass playing at ultra settings, at 60 FPS on a 50in TV! Also, I did not want to spend money on a console and a different game library. As you can see, my Desk and TV are quite close to each other, which made setting up for couch gaming quite simple. If your PC and your TV are not in the same room, this guide may not exactly be for you. Also, this guide focuses on the use of a controller, so keyboard/mouse dependent games like MOBAs or MMOs are not really supported in this kind of setup, so if you mostly play games like this, again, this guide might not be for you. However, I have included a few alternative options for those that have a different setup in mind. Alternatives: Steam Link, Nvidia Shield, Steam PC to PC streaming, etc. Alternatives: Controllers – Xbox 360 + adapter, PS4 + adapter (or Bluetooth), Steam + adapter, Steelseries Stratus XL, Scuf Impact. Mouse/keyboard – Razer Turret, Corsair Lapdog, Roccat Sova. 1. HDMI cable (or DisplayPort) – HDMI and DisplayPort cables have become very cheap as of recent years and this is why I went with a “wired” choice for my setup. I bought a 15ft HDMI cable that cost me just over $10 on Amazon Prime, and there is similar pricing for DisplayPort cables. I made sure to hide my cable in the nook between the carpet and the wooden wall liner. This process did not take me very long, but did require a few cable management skills and a bit of ‘elbow grease’. I suggest that you try to hide the cable like I did as hiding the cable looks great of course and creates a feeling of having a ‘wireless’ setup that can impress unknowing guests. Let’s face it, cables are kind of ugly (unless of course, we’re talking custom PSU cables) and the last thing you want when you’re trying to do some ‘modern’ couch gaming is to have to run an annoyingly long micro USB cable from your PC all the way to the controller at the couch! After all, you may have children or other guests that may trip over the cable. This is where the Xbox One wireless adapter is super useful! 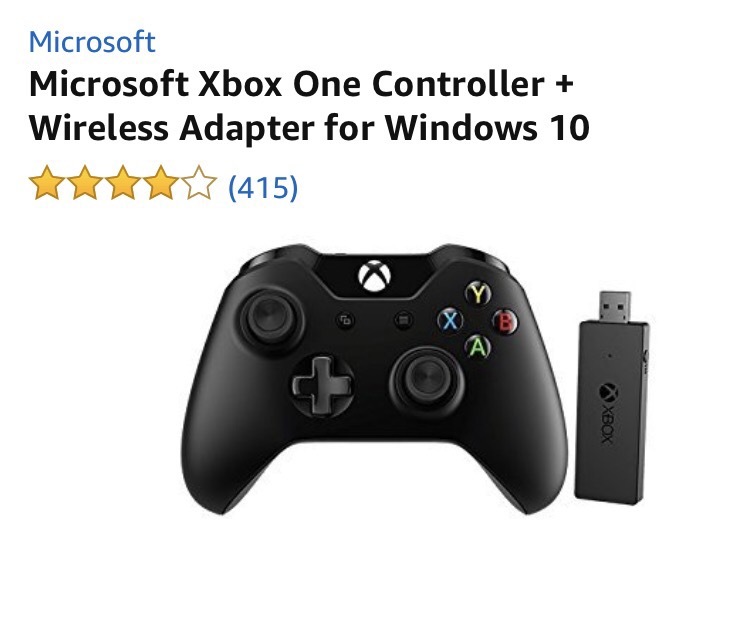 It connects to your PC via USB, and wirelessly connects your controller to your PC exactly in the fashion that a wireless controller connects to a console. The adapter can support up to 8 controllers, it remembers the controllers so you don’t have to ‘connect’ them every time you turn on your PC, and in my months of ownership, I have not experienced much, if any, input lag at all. I smoke dudes at Battlefield 1 and Black Ops 3 with it just fine. I chose an Xbox One controller because I assumed that it would integrate well and be fully supported by Windows, as opposed to a PS4 controller which has no ties to Microsoft at all. While I was not wrong, I have a friend that uses his PS4 controller on his PC and so far it seems as though the controller is accepted and supported pretty easily by Windows 10, although I am not 100% sure whether he uses some sort of third party software for it. I recently found out that PS4 controllers now also have an available wireless USB adapter as well, so even if your PC doesn’t come equipped with Bluetooth, your PS4 controller may still make a good option! There are a few other options including the Steam controller, Steelseries Stratus XL, and the Xbox 360 controller. I suggest doing some research before deciding which controller fits your preferences. 3. 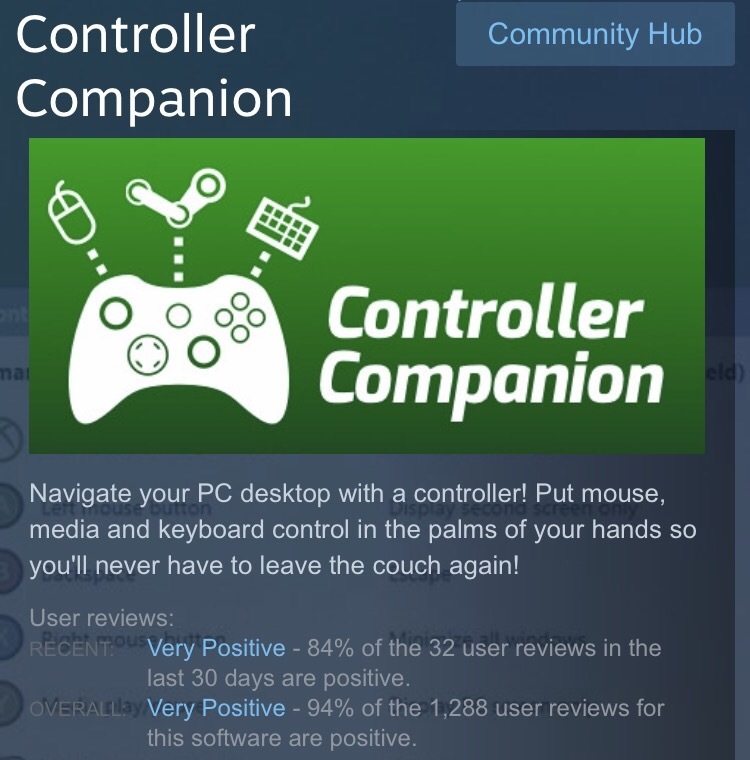 Controller Companion app (Steam) – I actually just found out about this little software a few months ago and oh my has it dialed my couch gaming experience up to 11! Essentially, Controller Companion is an inexpensive ($3) app/software available for purchase on Steam that allows you to use your Xbox One controller (it should work with just about any controller that you connect, but check first!) as a mouse on Windows. It’s functions include just about everything you can do with a traditional mouse. The software allows you to customize your preferences, including the option to open the software automatically on startup, and to turn off the controller function at any time. From what I can tell the software runs independent of Steam and therefore does not need Steam to be open in order to work. -You can boot up your PC from sleep mode by pressing the Xbox home button on your controller, the software will automatically turn on and you can log into your desktop with the controller. -It has an auto turn-off function when you enter a game, but it doesn’t always work (I’ve noticed it happens mostly with Ubisoft games), in which case the solution is to hold the back button and press start, this will turn off the mouse function and you can play your game like normal. -Because of its mouse functions, you can easily switch from playing a game, to watching Youtube, or surfing the web, adding a load of multimedia experiences to your couch gaming. -The keyboard scroll wheel function takes some getting used to, but after some practice you can actually ‘type’ quite efficiently. This software and controller combo may make a good option for those looking for peripherals for an HTPC. Once you have all of these 3 components, it’s super simple to just turn on your PC, turn on the TV, and plop down on the couch! With the help of the controller companion software, you can use your controller to switch the display over from the desktop monitor to the TV, and you can choose to navigate through your game library either on normal desktop mode, or through Steam’s Big Picture mode for a more ‘gamer-like’ experience. Hopefully you guys find this article helpful and inspiring when it comes to setting up your living room/couch gaming experience! Let me know your thoughts and ideas about this topic! I would love to hear about your methods and solutions to PC gaming on the couch! Hey can’t you explain how you got the controller to wake your pic from sleep? I followed your guide except I’m using a DUalshock 4 and everything works except waking the pic from sleep. Also I’m not using the wireless adapter, would be silly if that’s all it takes since it already works without it minus the wake from sleep thing. Thanks. Hey! So I’m not sure I can give you a 100% helpful answer but here goes from what I’ve seen with my brothers setup which uses a PS4 controller: He uses DS4windows to trick the PC into thinking his controller is an Xinput Xbox controller. This allows him to use Controller companion just fine. However, the PS4 controller has some limitations because it isn’t truly an Xinput controller. Controller companion works from the sign in screen, DS4windows does not boot up until you’ve loaded into the desktop. This may be one of the reasons you can’t wake up your PC. Simply because your PC doesn’t read your controller until you’ve loaded into the desktop. The other reason might actually be that you’re not using the wireless adapter, are you using Bluetooth? My knowledge of Bluetooth is limited but from what I’ve seen of it, it doesn’t connect until your PC has loaded into the desktop. 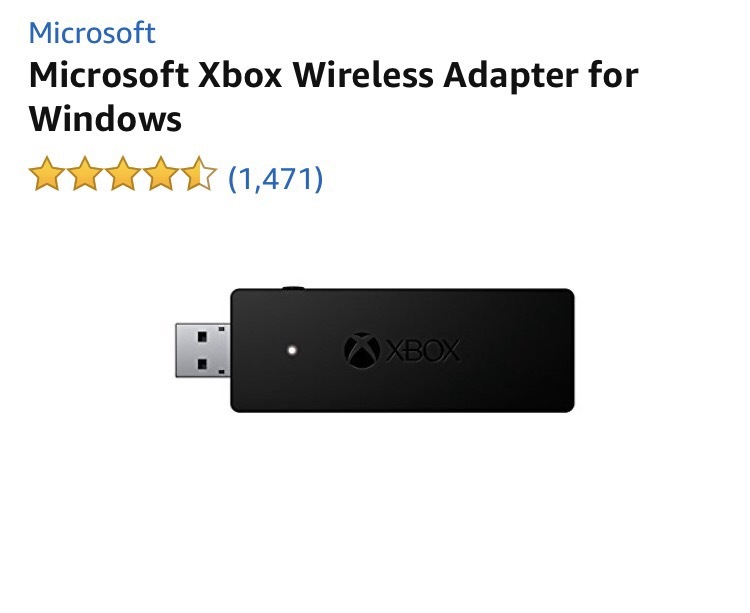 With a wireless adapter, the connection may be different since technically it is through USB, the connection is still established even when the PC is asleep, which means that your chances may be better of it working the way you want it to. Hope this helps some! My big concern/headache is choosing the right tv to hook up to my computer. What kind of tv are you currently using? Thanks for the guide! I have a pretty basic Element 50in 1080p. While nothing flashy, it does ok at 60fps and there isn’t any noticeable input lag! Great guide. I am also using DUalshock 4 and occasionally with Xbox One Elite Wireless Controller. I must say that it is now very easy to achve the console-style gaming on my couch. Do you have any expereince with the Steam Controller by Valve?